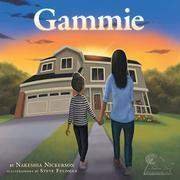 Debut author Nickerson teams up with veteran illustrator Feldman in this beautifully illustrated, sensitive chapter book about losing a grandparent, the launch title in Nickerson’s Tulvia Lane series. Kylie is excited to spend her summer vacation hanging out with friends, especially her best friend, Ally. The fifth-grade girls are practically inseparable; Ally’s mother watches Kylie while Kylie’s parents are at work, so they’re together every day. They hang out with friends at their ice cream clubhouse in Ally’s yard. But along with playing with friends, Ally is planning to spend lots of time with her beloved Gammie, whose illness has changed Ally’s schedule from spending every weekend with her grandmother to visiting Gammie with her mother every evening to help take care of her. The day after Ally has the best birthday ever, and tells Gammie about everything over the phone, Gammie dies, and Ally’s world is turned upside down. Since the story is told from Kylie’s first-person perspective, the brief sections where she describes Ally’s point of view feel out of place. But Kylie and Ally’s friendship feels genuine, and the girls act like fifth-graders throughout. Ally’s struggles with losing her grandmother don’t always depict her in the best light, however, as when she loses her temper with her friends, including Kylie, after they try to do something nice for her. Yet moments like that may help readers dealing with loss recognize that even if they take their grief out on their friends, their friendships are fixable. The illustrations are colorful and poignant, showing both the joy and sadness the characters experience. The diversity of the characters—Ally is African-American, Kylie is white, and they have multiracial friends—is appealing, especially as the races are never explicitly mentioned in the text, making it clear that for Kylie, race isn’t a factor in friendship. The narrative does meander between present and past tense, but the emotions still come through. Beautiful images enhance this sympathetic story about friendship and loss.